I recently received an email from Philipp Schorch who was moving to Australia to take up a fellowship at the Alfred Deakin Research Institute and the Cultural Heritage Centre for Asia and the Pacific. The Institute carries out research across the humanities and social sciences in order to inform public debate and public policy; the Centre is engaged in cultural heritage education. 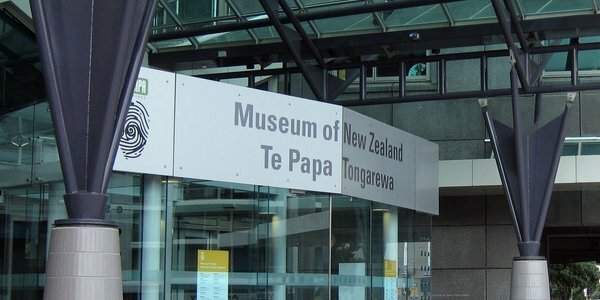 Philipp’s 2010 PhD had been informed by his work at the Museum of New Zealand Te Papa Tongarewa. He had researched the nature and function of museums as places where ‘making science public’ dynamically and reflexively occurs. As this theme overlaps with the Leverhulme funded programme of research that we are beginning to undertake this week (‘Making Science Public), I thought that it was worth exploring some synergies between ‘making science public’ in our sense (a critical reflection on transparency as a solution to cracks in the science/society interface) and in the museological sense. When I read this I asked myself: Should not all science communication, wherever it takes place and in whatever medium it is carried out, be reflexive in this sense and also performative? The focus would be on dialogue, engagement, etc., but, most importantly, on raising questions about the world, about each other and about one self, rather than providing seemingly ready-made answers to preset questions. In his article Philipp presents examples of ‘museums’ that are trying to be no longer museums in the older sense (as exhibition spaces), but instead want to open up spaces for dialogue, interaction and reflection. One example he discusses (and there are probably many more one could mention, such as the Medical Museion in Copenhagen!) is The Centre of New Technologies at the Deutsches Museum in Munich (a museum that I visited as a child 45 years ago…. well before this reflexive turn, but still fondly remembered as my first foray into science in action). Most importantly, however, the new Centre incorporates a laboratory and space for working scientists within the exhibition setting. What message can we as Science in Society researchers take home from such museological research? For me it is the need for a shift from ‘communication’, or even ‘making public’, to exploring (and opening up) much more ‘behind-the-scenes’ activities, which would humanise the professions of natural and social scientists and/or science communicators. We should not only ‘make science public’, but make science increasingly in public, that is, give science- or knowledge-making (Wissenschaft) a public face by giving faces to those who make the science and/or communicate it. One small example of making science in public is the May Fest here at the University on 19 May. Universities, especially if they want to remain true to their ethos as public institutions, should perhaps provide more dedicated spaces for making public science. Universities should ideally be (to quote Philipp again on museums) “a dynamic ‘playground’ located between scholarly thinking and the public”. This also means that, in the first place, our students should be given the space and time to become engaged with us academics in the public process of science making. They are ‘the public’ too. Participation, dialogue and engagement begin at home! Additional reference: Schorch, P. (2010). Humanising contact zones. In O. Guntarik (Ed. ), Museums and ethnicity (pp. 262-287). Edinburgh: Museums Etc.